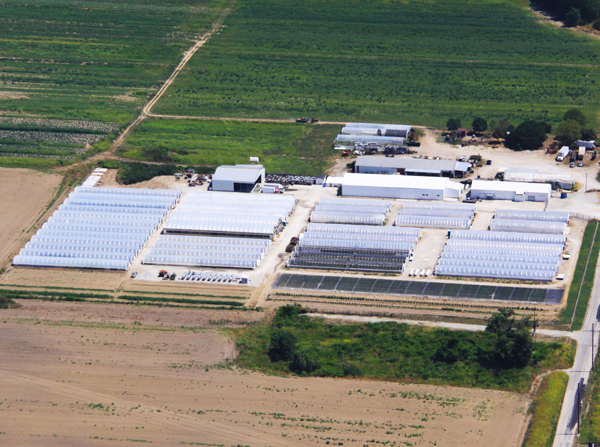 Ritter Greenhouse is a second generation family-owned and operated wholesale business. Ritter Produce was started in 1966 by Lawrence and Jennie Ritter, when they purchased eight acres in Bridgeton, Missouri and began farming in the Missouri River Bottoms. They supplied produce to local grocery stores for 7 years. In 1973, sales expanded to include some of their “starter” plants which changed the company’s future. For many years, the Ritters grew and sold vegetables and spring bedding plants, but in 1995, they decided to focus all of their efforts on the greenhouse operation. The green industry has changed dramatically in the last few decades, but the Ritters’ passion for growing has not.